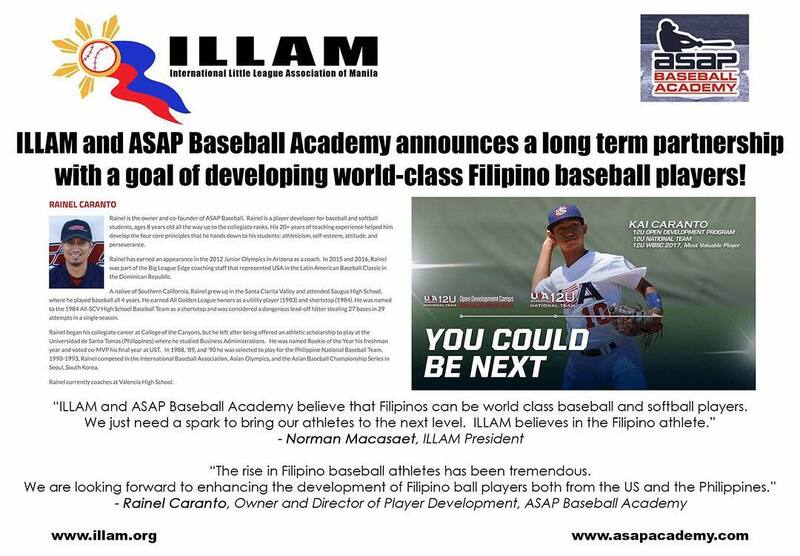 ILLAM is honoured to be a partner of ASAP Baseball Academy, a baseball training facility based in Los Angeles, CA, and owned and co-founded by Rainel Caranto, a former multi-awarded UST player in the UAAP. 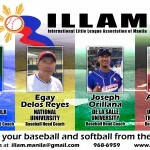 ILLAM players are mentored by the head coaches of the top universities in the Philippines! What more can a player ask for! Come on and register now for our regular season! 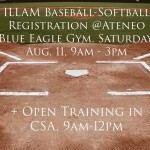 ILLAM Registration will be available at ATENEO BLUE EAGLE GYM this Saturday, Aug 11 9am-3pm! Be sure to drop by! We will also have uniform measurements that day! Open Training will also continue that day in CSA Makati from 9am-12pm! SCHEDULES IN RED FONT AS THOSE THAT WERE REVISED FROM THE INITIAL ANNOUNCEMENT. Great weather on opening day! See you all next week! GO ILLAM! ILLAM OPENING DAY! LET THE GAMES BEGIN! THE NEW ILLAM SEASON IS UPON US! 830am – 1030am Dassad v ALC Holdings, Inc. THE OPEN – BIG LEAGUE IS HERE! REGISTRATION IS OPEN UNTIL OCTOBER 18TH! Little League International has abolished the Big League division from Little League. This simply means players born before May 1, 2000 are now no longer part of any Little League charter and can not take part in Little League Tournament play for the 2017 season (Philippine Series, Asia Pacific Series and World Series). However, ILLAM will still participate in other tournaments for 17-18 year olds like SEAYBST and possibly the PONY LEAGUE 18U tourney. 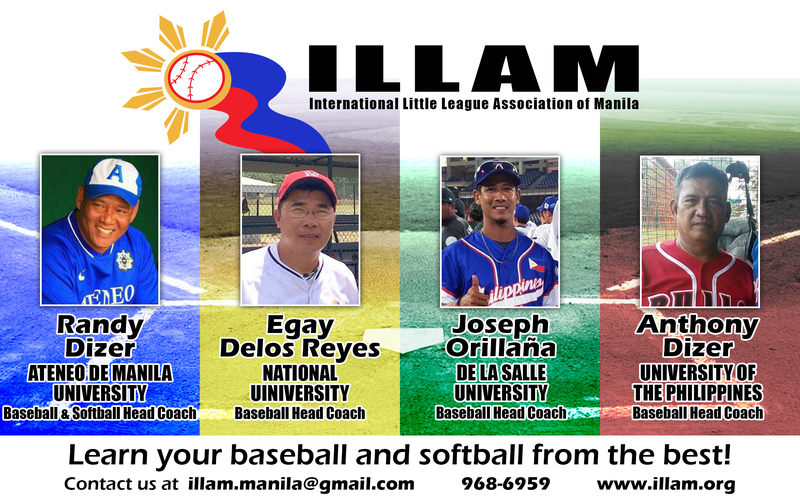 Because of the change in Little League structure, ILLAM has decided to organize an Open – Big League Tournament. This tournament will be OPEN TO ALL PLAYERS born on or before May 1, 2000. There will be no maximum age limit to the players accepted into this tournament. We are inviting the UAAP Seniors teams to play in this tournament as well as all interested parties who are eligible. 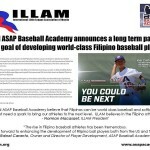 Apart from age requirements, eligibility includes two years of competitive baseball experience. We expect competition for this tournament to be stiff and yet enjoyable. Adults will be playing alongside teens aged 17 or older. Minimum league age is 17 years old (born on or before May 1, 2000). No maximum age limit. Please on the REGISTRATION TAB ABOVE to register. After registration, you will receive instructions on how to pay your fees and when to expect a call from your team manager. We are excited about this tourney and hope you join us! ILLAM OPEN HOUSE ON OCTOBER 8TH! 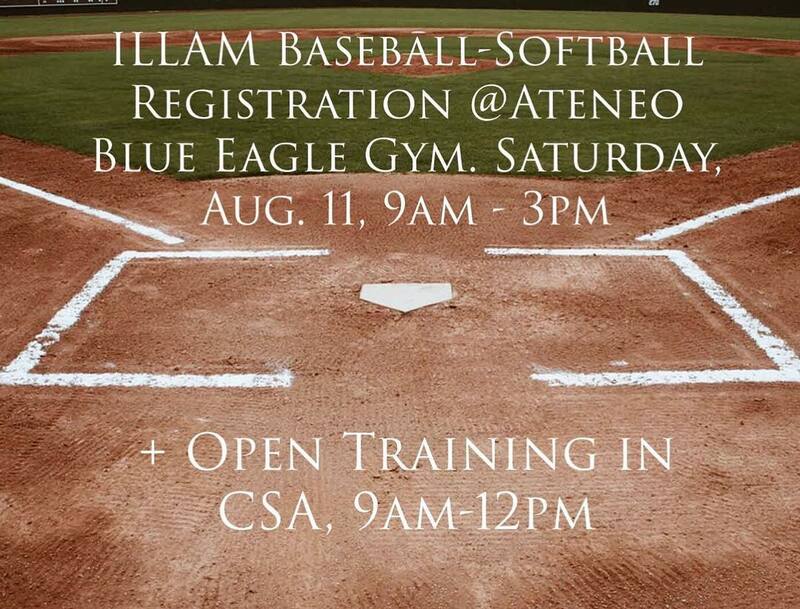 We would like to invite boys ages 10 and under and girls ages 12 and under to the first ILLAM OPEN HOUSE for 2016! We will have fun and games for all while parents are oriented on the ILLAM regular season. Please bring your friends along! COLEGIO SAN AGUSTIN (CSA) Baseball Fields in Dasmarinas Village, Makati. Note – If you have pre registered and would like to confirm your registration, we will be on hand to accept payments for registration fees as well as for measuring of uniforms.